China - Canada trade tensions persist. Canadian canola exports still blocked. Here's what could hurt the Fed's credibility (and it just happened). offers an unconditional Brexit delay until April 12. If the Brexit deal passes the UK Parliament by then, a possible further extension through to May 22. In even more brief, what this does is postpones a potential no deal Brexit. Over to the UK parliament now for the next meaningful vote (next week, date not yet set ... stay tuned!). GBP spend the session here gaining ground, extending its solid US-timezone performance up towards 1.3150. The only other item really of interest (and we all knew what it'd show) was Japanese inflation data, national for February. Sure enough, CPI came in on the weak side, the headline was a miss, as was the Japanese 'core' (CPI excluding fresh food) measure. The 'core-core' measure (which is CPI excluding fresh food and energy and most closely approximates 'core' inflation elsewhere in the world) was at least in line, if still a lowly, and far, far below 2% target, 0.4% y/y. The further bad news (for the BOJ and Japanese administration more broadly) is reasonable expectations are pointing to declines in the rate in coming months. 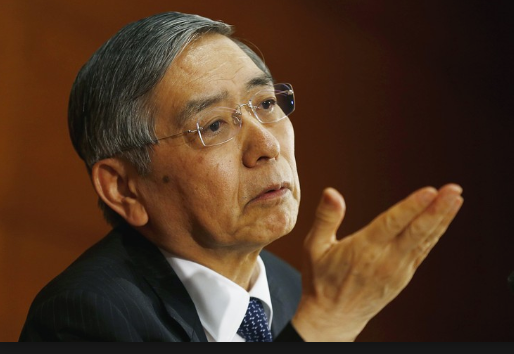 I don't know how BOJ Governor Kuroda responding but maybe something like this? USD/JPY traded a small range, up towards 110.90 in the wake of the data, then slipping under 110.70. Its close to the middle of that range as I post. EUR, AUD, NZD, CAD are all little changed on the session at all. The Swiss franc has lost some ground, not large. USD/CHF finished the NY afternoon circa 0.9915 and since popped to above 0.9930. Its just under there as I post.